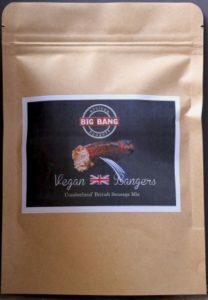 I had the pleasure to taste Miriam Sorell’s BIG BANG Vegan Bangers before they were launched a few months ago. My first impression was, oh my God! is this meat? For those who know Miriam (author of Mouthwatering Vegan) they will certainly know that whatever she prepares is either great or a notch better. I actually tried the sausages with a some of her Midas fine art vegan cheeses (you need to try those as well). 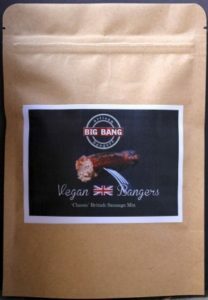 There is no doubt that if you are a meat lover you will love the BIG BANG Vegan Bangers. 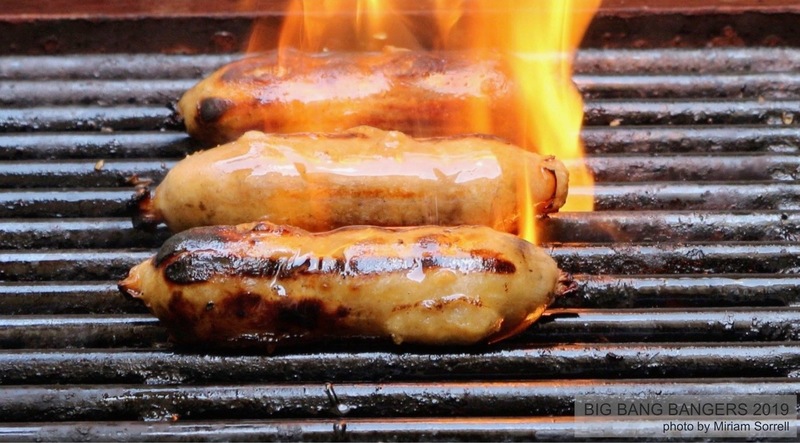 Whilst cooking they form a golden crispy ‘skin’, with texture inside of proper British ‘Banger’, and same flavour & mouth-feel, fried until golden all round. 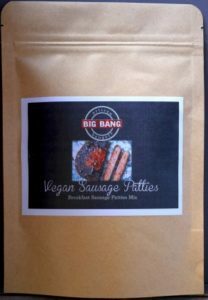 They are totally versatile and can be used for sausages or sausage rolls, or American breakfast patties, and can be served as part of a vegan British Breakfast, or traditional ‘Bangers & Mash’, stews and much more. Alternatively if you have a party you can shape them into mini party sausages. 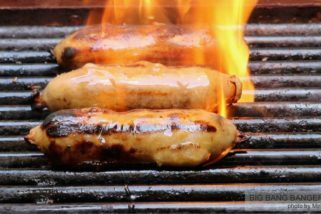 The product is offered in three choices: the Classic British Sausage Mix, the Cumberland British Sausage Mix and the USA Breakfast Sausage patties Mix. The package provides the ingredients to produce 6 sausages and the patties produces 3, all of which can be frozen. The product costs £3.99 and can be ordered online from this link. 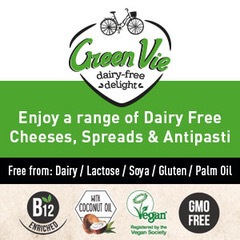 They are free from soya, no palm oil, no artificial colourings and no animal fat.